Tomorrow, I will be asking for a raise. (By the time you read this, I would have already asked.) It’s funny because I’m actually torn about asking. Obviously, one asks for a raise because one believes that one is worthy of more money. Such is my case (in my humble opinion). However, in light of the above scripture verses above, shouldn’t I be content with what God has provided me? 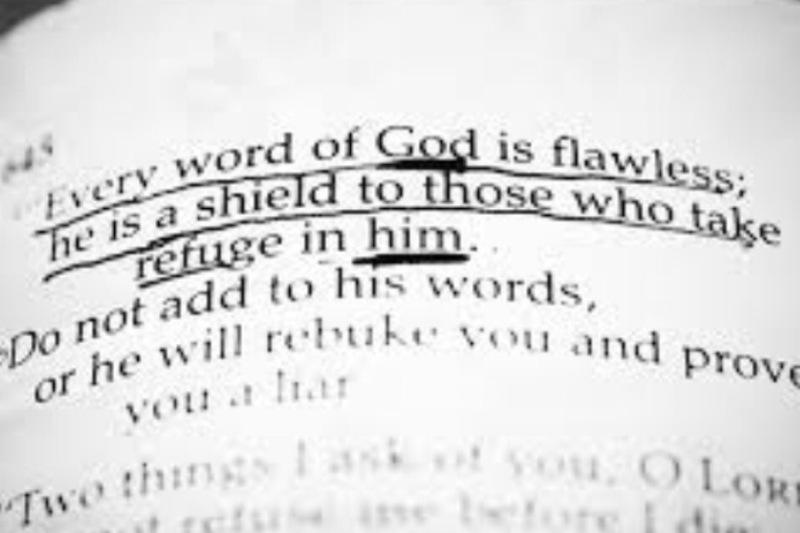 First off, God “is a shield to those who take refuge in Him.” So, why am I not trusting in His shield? What I mean is, if I have really taken refuge in Him, and He is my shield, what am I doing asking for more? Why am I not satisfied with His shield? Second, I should never “add to His words, lest He rebuke” me, and I “be found a liar”. In other words, by asking for a raise, am I now a liar because I am denying His provision by asking for more than He has provided, yet at the same time proclaim to be a Christian? What kind of a witness is that? Because God has changed my heart, I can and will embrace whatever answer I receive at work, regarding my petition for higher compensation. Why? Because, God’s word always proves true. And since it always proves true, I who take refuge in Him will always be shielded, and that’s really all that matters… No? Next Next post: Who Exactly… Is Teaching Your Kids Scripture?